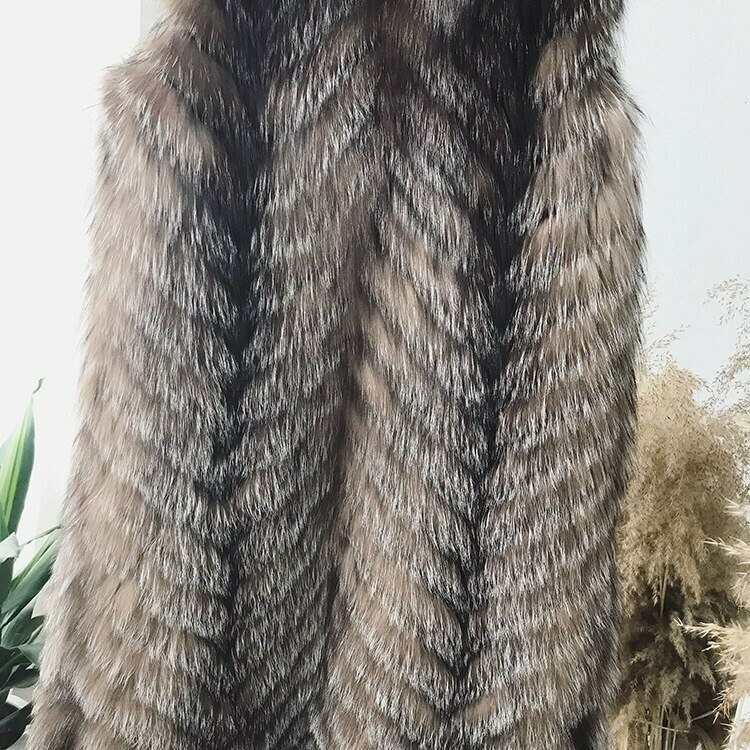 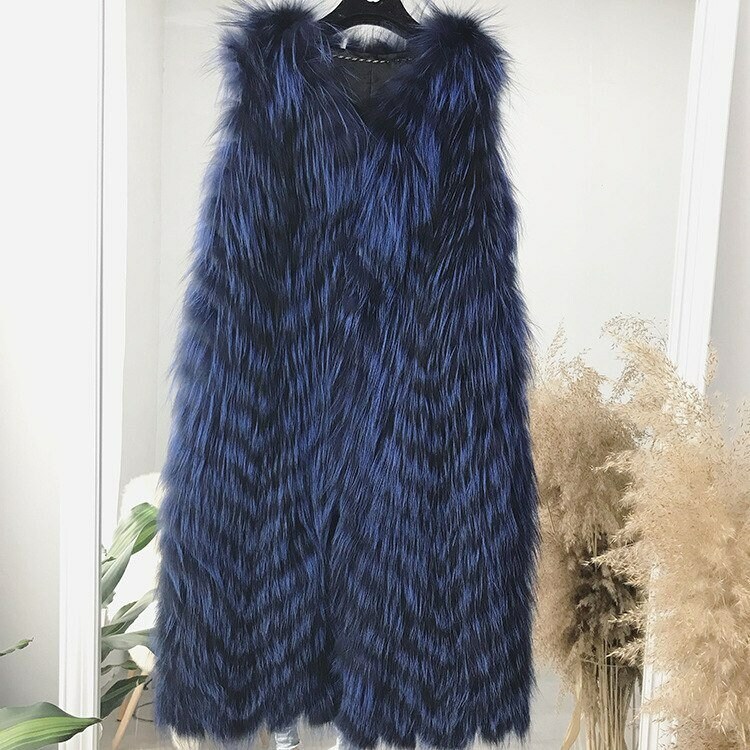 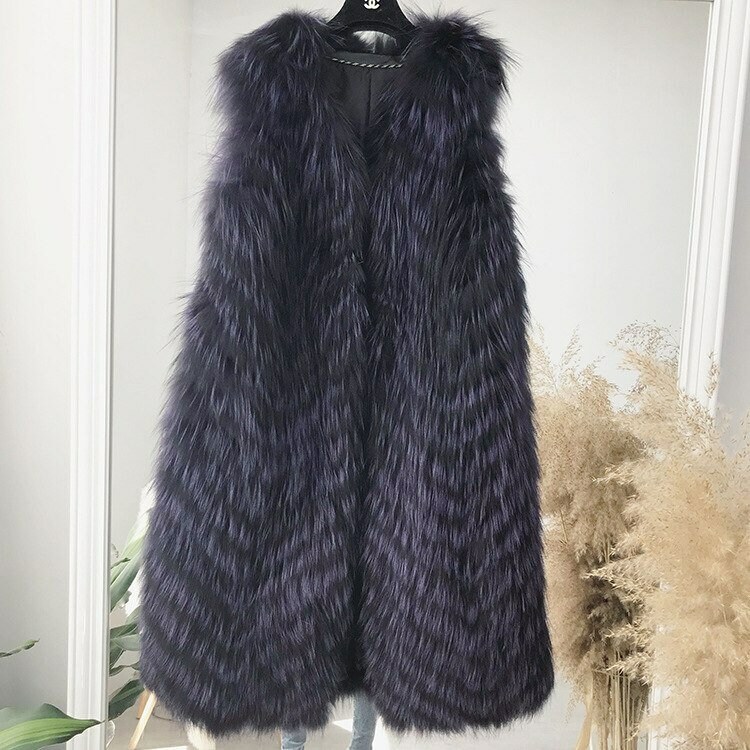 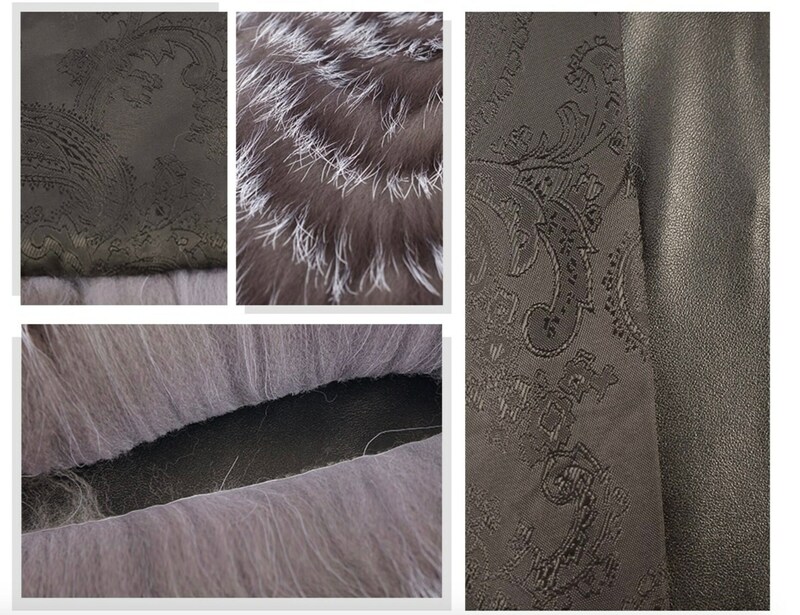 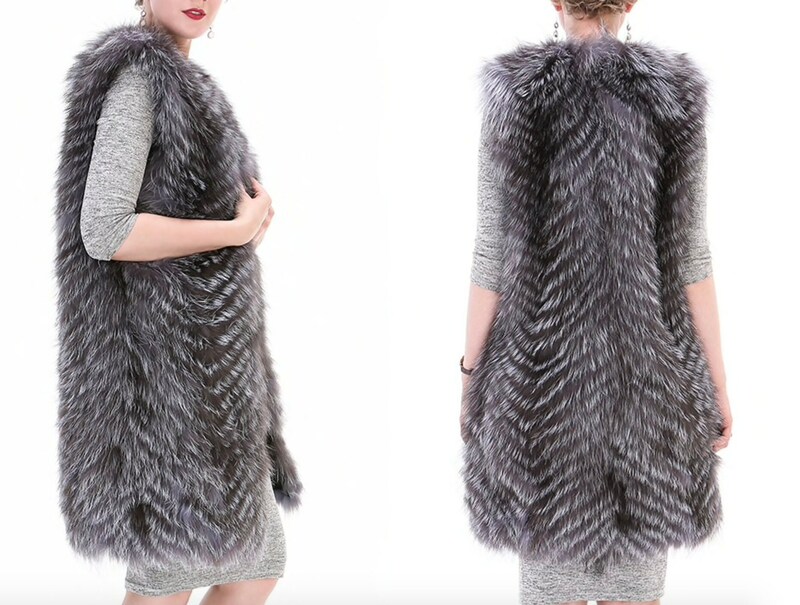 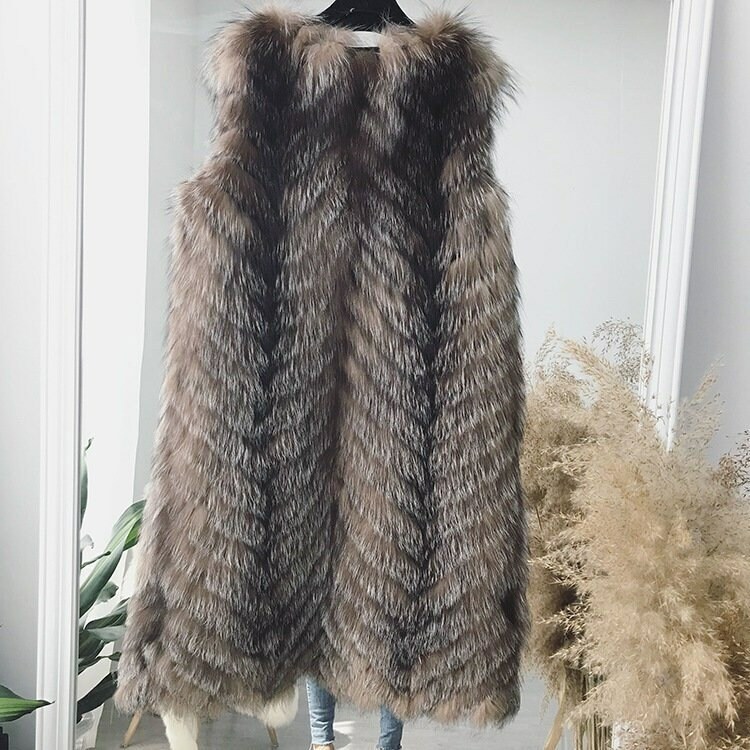 Beautiful full length 110cm Silver Fox Fur Vest. 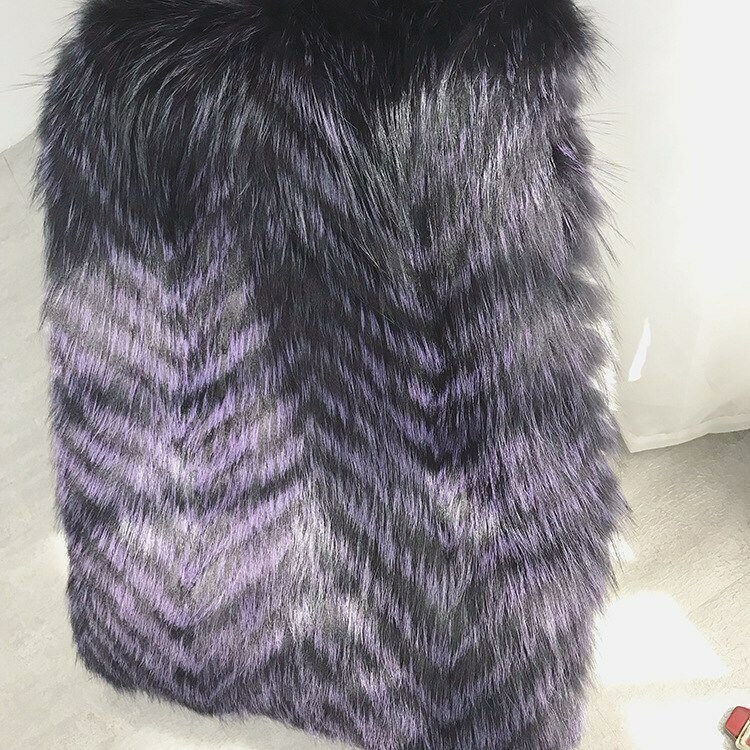 This is lined and had hook and loop closure. 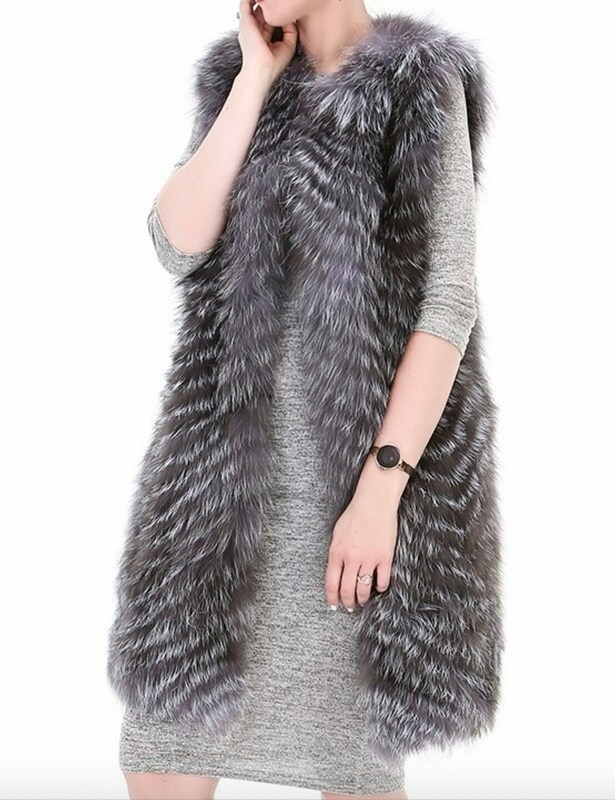 This comes in many sizes.